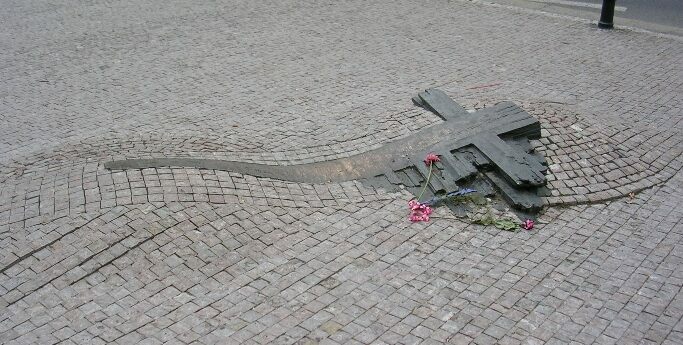 A student who committed suicide by self-immolation in political protest, Jan Palach killed himself on January 16, 1969, after the Soviet Union invaded his native Czechoslovakia to crush the reforms of Alexander Dubcek’s government during the Prague Spring. 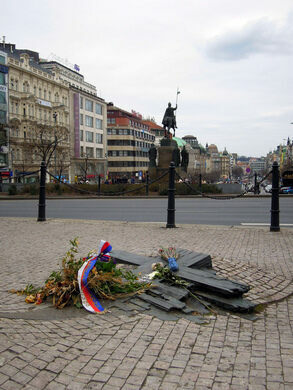 Palach was the first to immolate himself in Wenceslas Square, where a memorial to his death now stands, but he wasn’t the last; Palach was part of a suicide pact formed of students and others willing to sacrifice themselves in protest of the invasion. Most of the other students did not go through with their pact after Palach made statements on his death bed about the degree of pain that they faced; but Jan Zajic, Palach’s friend, did. 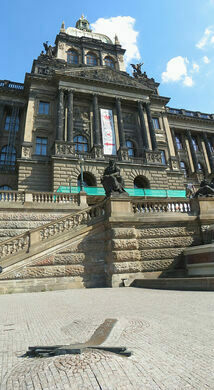 The two students are memorialized with a structure in front of the National Museum on the eastern side of Jan Palach square next to the entrance to the philosophy faculty of Charles University, where Palach was a student. A bronze memorial plaque marks the spot where Palach set himself on fire, followeed by Zajic one month later. Palach’s body was initially interred in Olšany Cemetery, but after his gravesite grew into a national shrine, the Czech secret police exhumed his remains. His cremated body was sent to his mother in Palach’s native town of Všetaty. The urn of full of ashes was officially returned on October 25, 1990, to the initial site. 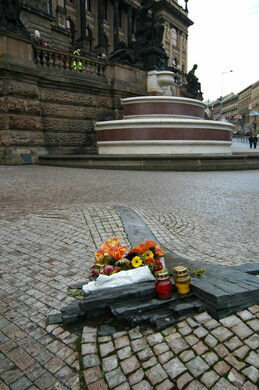 Later, the square was named after him, and a bronze cross was embedded at the spot where he fell. 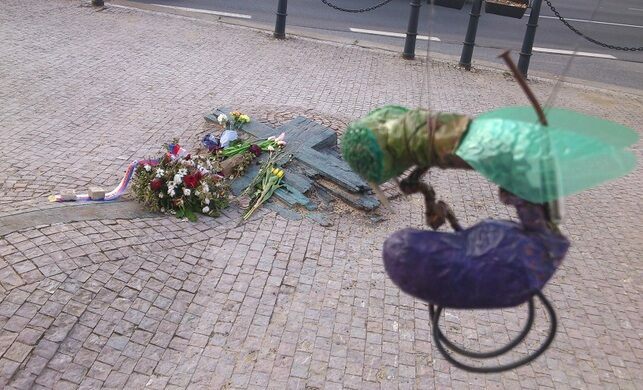 There are also several other memorials to Palach in cities throughout Europe.